Tin Can Daisy: The pretty witch dress. 2012-11-25 14.38.06, a photo by TinCanDaisy on Flickr. I think it's safe to say that I'm a bad blogger but I've decided that I'm ok with that. 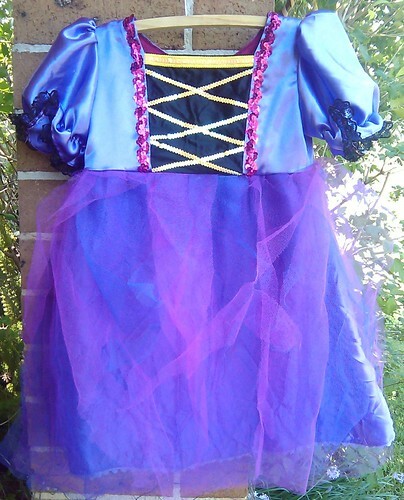 So today I'm going to share the pretty witch dress I made for my littlest DD for Halloween. I used a vintage basic bodice dress pattern and altered the front. If I'd had more time I would have altered the fit as it turned out very wide, but the little witch was happy and really that's all that matters. A very pretty witch for sure. Great costume! ... and what is a bad/good blogger anyhoo... ? Just be.